In today’s changing retail landscape, store closings, dips in big chains’ stock prices and the rise of e-commerce are factors that threaten the well-established retail industry. Additionally, are new technologies, shifting patterns of consumer behavior, and the influence of pioneering digital-first companies like Amazon painting a deeply negative picture for the retailers today. The rate of technological change and competition is intensifying, and organizations that are market leaders today may be swiped away from the podium tomorrow. However, there is evidence to suggest that businesses can thrive in 2019 and beyond – if they manage to adapt and evolve to the changing times. Change represents that something new is about to occur, but what these changes will be is up to each player in the game. This article will shed light on issues that we think will be vital in order to survive in this rapidly changing landscape of retail. Although there is a digital transformation of retail, people will still make their way to physical stores. This means that retailers need to ensure that their stores remain relevant and are places that consumers want to keep coming back to. Customers want an amazing ‘in real life’ experience, and even better, a place in the community where they can gather. Hence, making every customer visit count will be crucial. In regard to online shopping, costumes are seeking more personal experience, especially when it comes to apparel. Hence, retailers need to utilize technology solutions to make online shopping feel more like a customized experience. Today, we have technologies like IoT, mobile apps, beacons and new POS systems that allow retailers to discover more about their customers, which in turn will facilitate more personal and unique customers experiences. In today’s modern society time has become a valuable asset which we don’t want to waste. Any service that might help us save time will thus be popular among consumers. Thanks to big data, analytics, machine learning and algorithms we can better facilitate a more personalized experience, as the data can predict our behavior and preferences. Automation can now deliver our bread, tuxedo or toilet paper on the same day and voice command such as Alexa or Google Home can be our own personal shopping assistant. Forward-thinking retailers will keep exploring innovative ways to collect and leverage data in their sales, marketing, customer service, and operations to build a long-lasting customer relationship. The modern consumer has shifted from purchasing tangible items to seeking a more personalized experience. Yet, when consumers purchase these tangible products, they want those items to either tell a story, be completely unique, to fit into their lifestyle, or all of the above. Personalization enables customers to build products and customize them to the very last detail which is more important than ever. Our brain will always try to avoid unpleasant feelings and experiences. A key in order to stay relevant for your customers, is to always improve pain points. This year, lots of businesses suffer through their most important period, Christmas, because of lacking action to make shopping easier and more pleasant. Long queues to the cashier, crowded dressing rooms and insufficient customer service are some of these provoking pain points that affect the customer experience. Online stores are right now far ahead in terms of reducing friction, with focus on quick delivery times, cheap/free shipping and simpler return policies. Most physical stores, on the other hand, haven’t done much the last 20 years to improve what we all dislike about shopping. Retailers should focus on finding innovative ways of solving these pain points for the customers. This can be done by utilizing technology to digitalize the in-store experience. This can include everything from installing automated checkouts and magic mirrors in dressing rooms, to adopt augmented reality and gamification for a more fun and unique experience. The emergence of disruptive technologies like these examples are offering even greater potential for retailers to reinvent their relationship in the marketplace. As consumers will continue the move towards a connected and digital lifestyle it creates a demand for retailers to follow in the same direction. For some, this might mean exploring new in-store formats and social media trends. For others, it could mean using new technologies or retraining your staff. Additionally, will another key area be to reap the values of the young generation. These values are connected to the social and environmental impact which we have seen has gotten a lot of publicity this year. Regardless of the path you choose, the ability to be agile and evolve will be crucial in order to survive. Hence, those who thrive in 2019 and beyond will be the ones that successfully can find innovative solutions that combine physical stores with digital technology and online shopping. This, in turn, stresses a re-examination of company’s infrastructure and digital strategy. 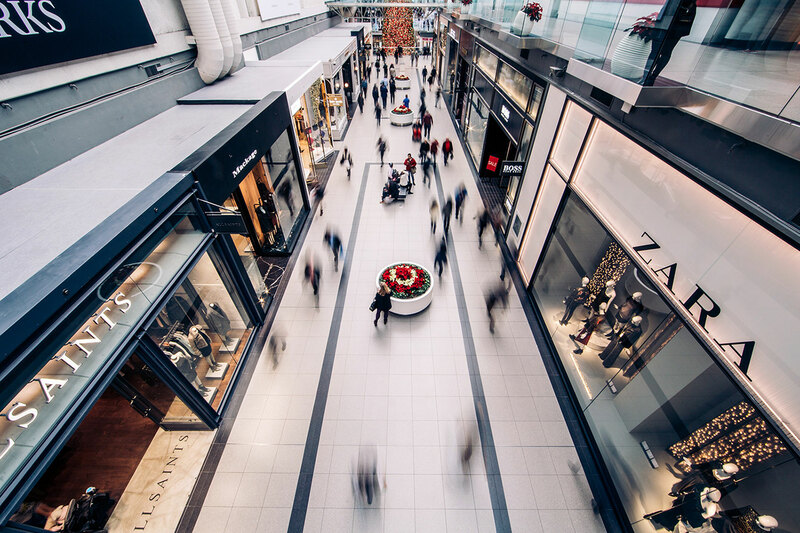 Going forward we do not know what the future of retail will hold, but one thing is for sure – if retailers want to thrive in the years to come, staying stagnant is not an option.